I absolutely love everything about traditional fall smells. It is one of my favorite things ever. This is basically because if it were appropriate I would burn a pumpkin spice candle all year round. Oh, excuse me you don’t find pumpkin spice appetizing while you are planting spring flowers or tanning at the pool? My bad! 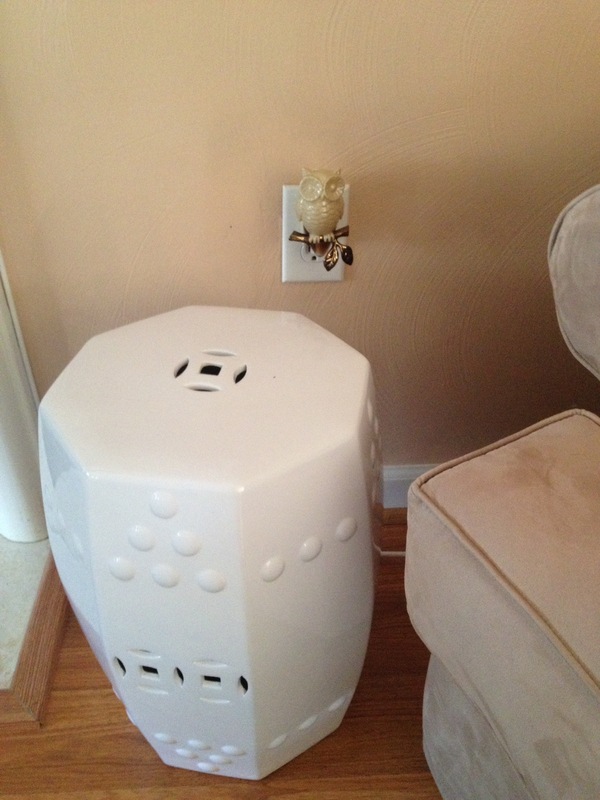 Typically I use some sort of plug in to make my house smell nice. Admittedly, I am not very good at keeping up with this. I traditionally alternate between Bath and Body Works plug ins and some Glade ones from Target/ Wal-Mart. For this fall I picked up several wallflower bulbs from B&BWs in the scents autumn and leaves. AKA I picked the ones that were named fall things haha. Just kidding, I really did smell them and these two were my favorite. While I was in there I realized I needed another plug in because this guy jumped out and screamed “take me home!” Seriously, if you can resist this cute guy then you and I need a therapy session on not being an impulse buyer. And here he is sitting above my garden stool making my living room smell so sweet. Funny story, I didn’t point out to my husband that we had an owl now residing beside the fireplace. I waited to see if he saw or smelled him. 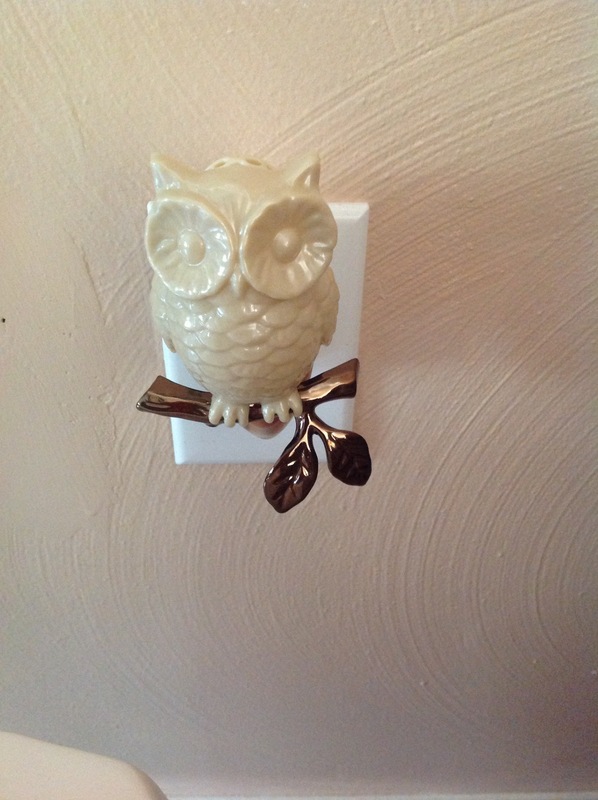 Sure enough a few days after he had been perched there the hubs left me a sweet note and in it said he liked the owl. Yay for fall decor!